If you have not experienced the delights of an off-dry Loire Chenin, you don't know what you are missing. Nowhere else makes wines quite like this and nowhere showcase Chenin's aromas and flavours to the same extent with dry, fizz and sweet wines, so don't try to think of Vouvray in terms of more familiar styles. If you want only the familiar, have another kiwi Sauvignon; if you are open to something new, interesting and delicious, well here you are. 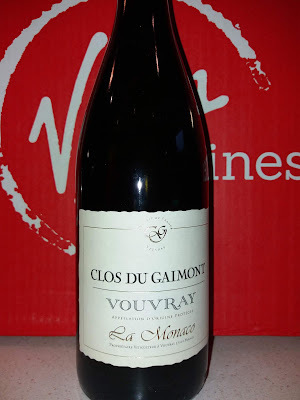 Clos du Gaimont Vouvray Demi Sec 2015 (£12.99) ripe yellow stone fruits, dried fruits honeysuckle and complexity; rich and off-dry yet fresh and mineral. Very accomplished. Will age. Match with seafood starters, such as scallops, salmon in a creamy sauce or pork with apple sauce.